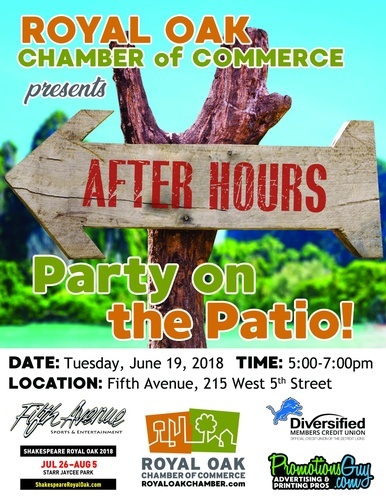 Join fellow chamber members for our after work summer networking event. Enjoy complimentary appetizers and make new connections to grow your business in this Jimmy Buffet/Margaritaville-styled event. Special Thanks to sponsors Diversified Members Credit Union, Shakespeare Royal Oak and Promotions Guy. Fifth Avenue is located at 215 W. Fifth Avenue.